Award-winning author Robert Burleigh has captured Amelia Earhart's first solo flight across the Atlantic in 1932. She was only the second person to do this -- and the first woman. Rich in detail, feeling and incident this is nonfiction with edge and action, a you-are-there experience made more dramatic and real by Wendell Minor's vivid paintings. 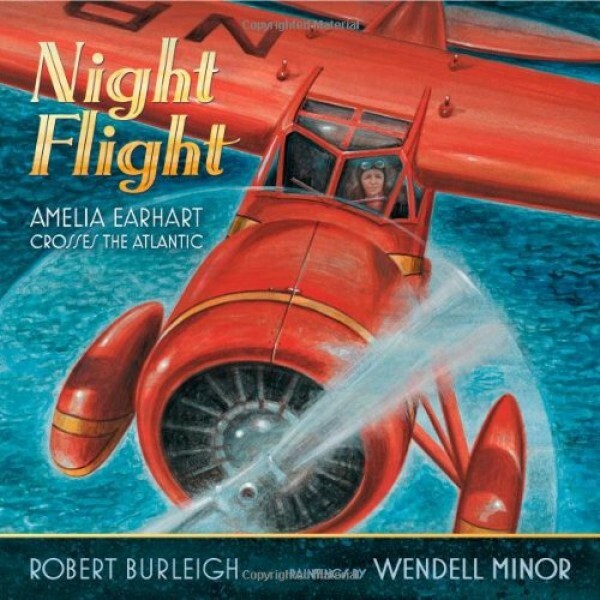 For more books and resources about this trailblazing pilot, visit our Amelia Earhart Collection.